I just love adding my own little touch to things. This is just a plain coaster set but I added rubons to give them some extra flair. It’s very simple to do to make change something from ordinary to extraordinary. 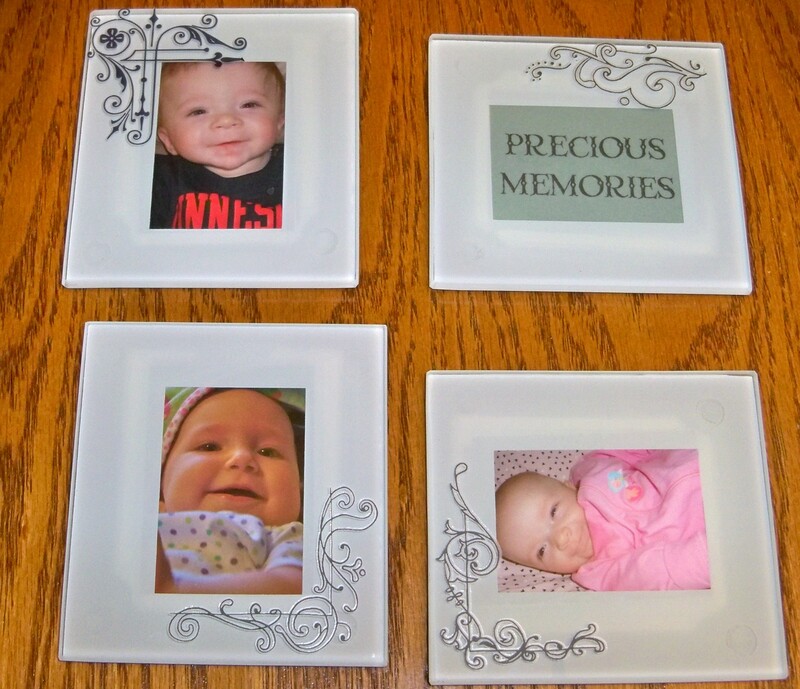 These were a grandparent gift for Christmas with pictures of the new babies. I had to get a little creative to come up with an idea for the fourth coaster since there were only three babies. I like how it turned out as a complete set. Scrap supplies are DCWV vellum quote matted on cardstock, and misc. rubons from my stash.